I really like four patch blocks on point. They are simple but lovely. 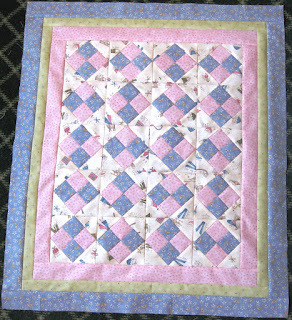 So, with the leftovers I had from the wall hanging quilt (see previous post), I made this baby girl quilt or wall hanging. Of course, my oldest son Michael and his wife Daniela are having a boy, but you never know who the future may bring into the family... I just decided to be ahead of the game!!! 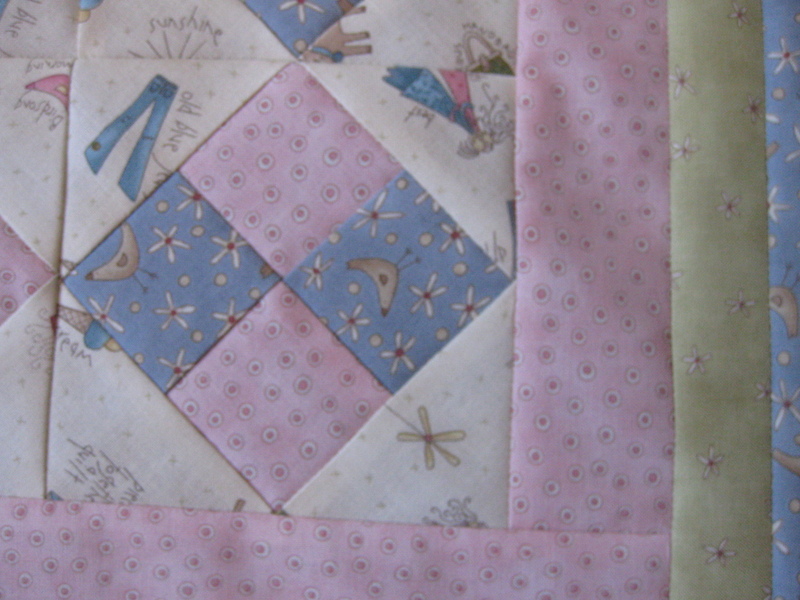 The simple borders put the spotlight onto the center of the quilt. I will SITD or hand quilt this one, I am still not sure. 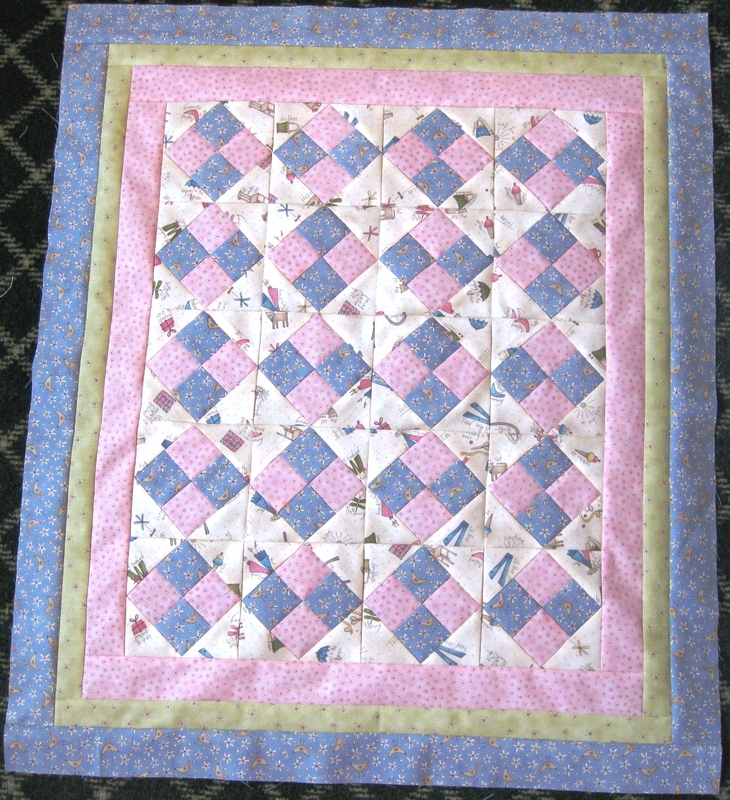 I took my time sewing this little quilt, making sure all the corners were as close to perfect as possible, and the seams were exact. As I had no other pressing task, I delighted in the process. How often can we do that?